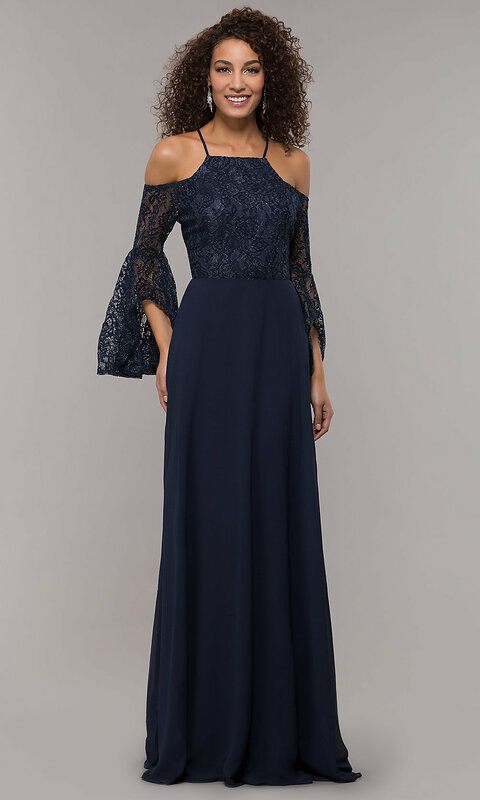 In delicate lace and soft chiffon, this long mother-of-the-bride dress is equal parts romance and glamorous style. 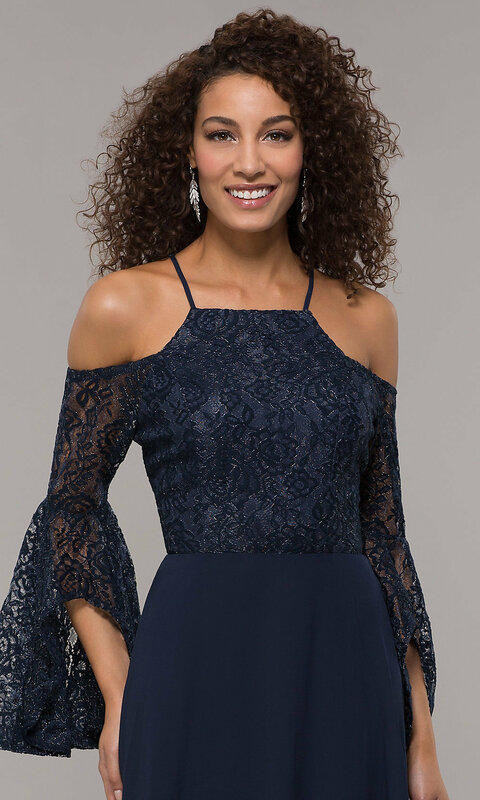 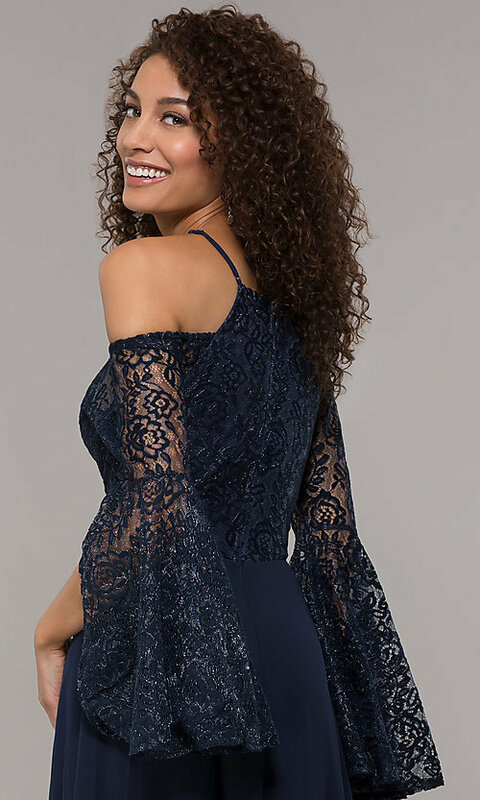 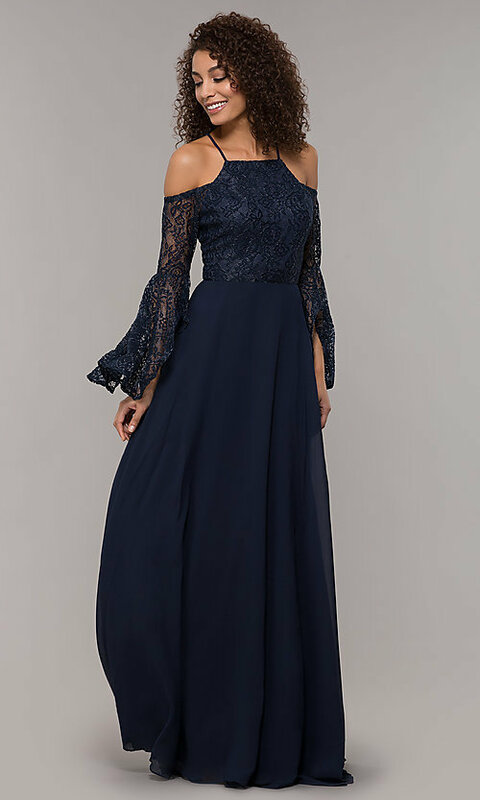 Beautiful for the well-dressed mother of the groom too, this long formal dress features a gorgeous off-the-shoulder glitter-lace bodice with thin spaghetti straps for support. 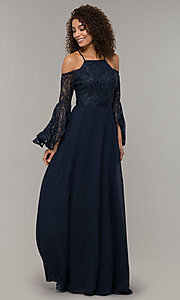 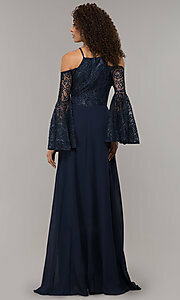 Lace three-quarter sleeves become a longer length in front for a draped look that adds to the romance. Fully lined, the billowing long skirt flows to the floor in layers to finish the look of this affordable long mother-of-the-bride dress, under $150, that is just as lovely for black-tie galas and prom 2019 as it is for weddings.